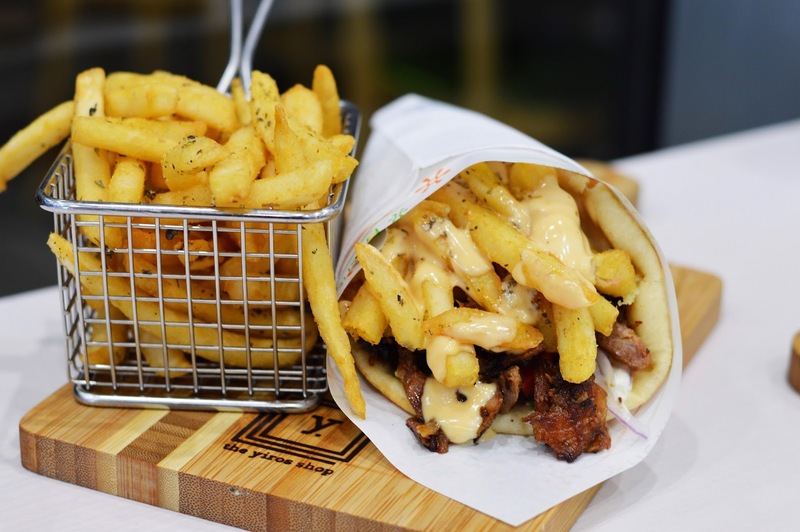 A Yiro is a traditional Greek dish served on fluffy fresh pita, lightly scorched on the grill, and filled with pork, chicken, or lamb, with ripe tomato, red onion, parsley, tzatiki and crispy chips. The Yiros Shop is without question our favorite places to grab a yiro. Besides being incredibly delicious, The Yiros Shop is dishing out some of the BIGGEST yiros in town. Bring your appetite because you'll be rolling out the door. Zeus Street Greek serves up one of the widest ranges of yiros- all under $14. Waygu Beef, Soft Shell Crab, Lamb, and Grilled Haloumi (vegetarian friendly)...Gluten free pita wraps are also available. For Gold Coast yiro-lovers we highly recommend a visit to Greek Street Grill. Along with being a mobile food truck, Greek Street Grill has permanent shops in Surfers Paradise and Broadbeach. Even better all of their pita wraps are under $10.